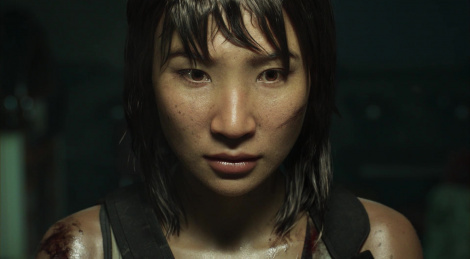 Starbreeze revealed a new cinematic trailer that introduces Maya, the second out of four playable characters from Overkill's The Walking Dead, the co-op multiplayer FPS that will release this Fall for PC, PS4, Xbox One. Damn, really well done cinematic. Do we know which studio did it ? Looks like Blur Studios grade quality ! Golden rule to remember: cinematics have nothing in common with the games they advertise, not even the core direction and atmosphere sometimes, due to them being outsourced to professional CGI studios. Just an eye candy. See Dead Island fiasco. So we've had 2 pointless CGi trailers and still no gameplay? By the time this releases I'm not even sure the walking dead will be all that popular anymore. Viewing figures are already plummeting with each season. Season 8 has been the weakest without a doubt. But it still beats the vast majority of trite on television these days. Holy.... this is so well done! One of the best "just for a trailer" CGI I´ve seen. Starbreeze is making this? I haven't followed them since Riddick and The Darkness, but those games were better than the IPs they were based on. Game is definitely going to die if it launches in Fall though. The guys behind Riddick and the Darkness moved and created Machine Games, the Studio that developed the last Wolfenstein Games.